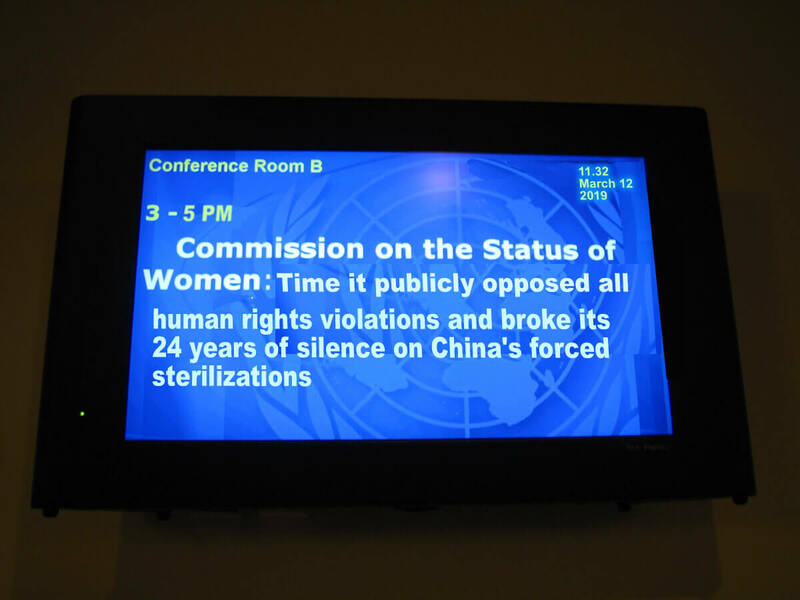 As the 63rd Session of the UN Commission on the Status of Women closes today and women activists and NGOs hug their last goodbyes to New York City, we’re disappointed to report that once again the defenders of women’s rights have remained deafiningly silent on the atrocities of China’s forced sterilizations. 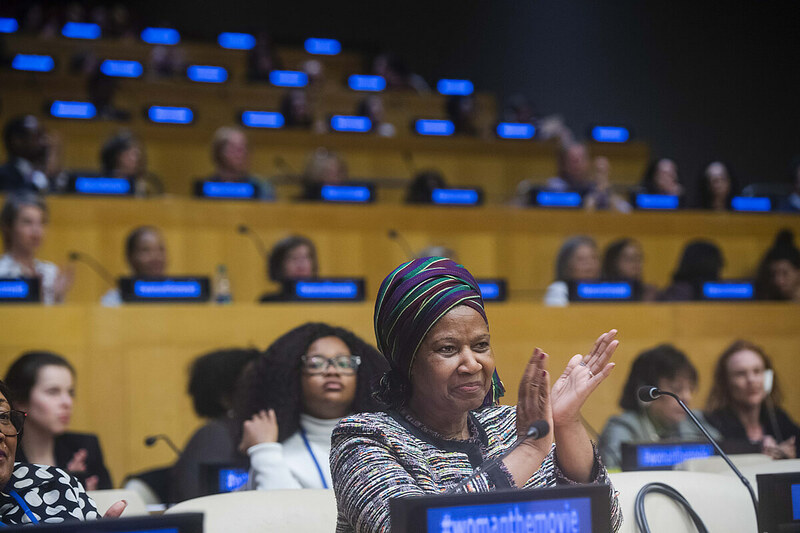 There’s been much self-congratulation about progressing gender equality, equal participation, girl’s empowerment, women in leadership and solidarity against child-marriage and female-genital mutilation. But the hot topic of a ‘feminist vision’ has suffered an acute myopia concerning China’s state engineered violence against women, which its coercive population control program still inflicts. Mz Zhang Qing-Me a Director of one China’s many birth control centers. An enforcer of the Chinese regime’s coercive population control program. After years lobbying and informing @UN_CSW @UN_Women and associated women’s NGOs on this issue we are not surprized that they continue to ignore the plight of their sisters suffering under the harrowing dictates of the Chinese regime. Their record on this matter is a shameful betrayal of women’s human rights and seriously erodes, to anyone of normal intelligence and integrity, any residual moral authority or credibility they may have. We have through our experience and activism on this subject come to a conclusion that these bodies do not care about the court of public opinion. Nor are they vexed by the staggering hypocrisy at the heart of their callous indifference to those whose lives have been devastated as a result of being forcibly sterilized. While demanding action across a range of rights for women, they choose denial, silence, delusion and evasion as a response to this issue. Why is this appalling duplicity operating you may wonder. How can it be that women who announce themselves dedicated to rights and equality remain unmoved by the disturbing reality of forced sterilizations? It’s our view that these organizations operate and possess characteristics often defining a cultic mindset. There’s an exclusive ideology, a dominating elite and compliant devotees. An elevation of an enshrined philosophy above all other considerations, protected by an emphatic and consistent rejection of anything regarded as not conforming to the approved dogma. Does this concerned sisterhood regard women’s freedom-of-choice, and opportunity to educational and career advancement, restricted and disadvantaged by having children? Does that explain their selective definition of reproductive rights as being the provision of safe and free access to contraception and related education? Those are of course important and justified resources yet a woman surely has the right not to be forcibly sterilized, an action that violently denies any chance of reproduction. They choose to offer no comment on that, which begs the question; are these organizations holding to the unspoken view that women ‘unburdened’ by pregnancy and children are more likely to realize the ultimate goals of the much trumpeted feminist vision? If so it may well serve to account for their reticence to condemn or oppose forced sterilizations, atrocities which are tolerated and perceived as liberating women from the confinements of motherhood? Our position on this is one of respecting all human rights, we’re not interested in arguments for or against abortion, nor do we subscribe to any side of the pro or anti debate. Unlike the participants of the UNCSW and NGO Forum we regard forced sterilizations as a disturbing example of violence against women, constituting a physical and psychological disfigurement and denying women the reproductive right to have a child. 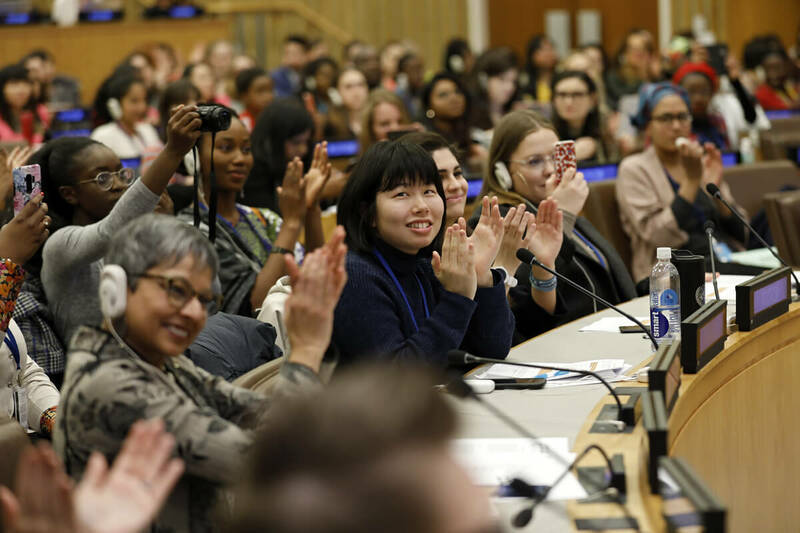 We have eyes and ears on site at the 63rd Session of the UNCSW in New York City and at the end if the first week the reports are not good. The subject of forced sterilizations, especially those which form part of China’s population control program is off the table. 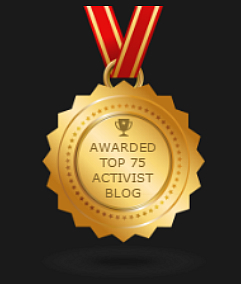 Anyone who has followed our activism and reportage over the years on this gathering of the ‘concerned international sisterhood’ will know that there’s a taboo administered by UN Women and its associated NGOs on criticizing China’s regime and its mass campaigns of forcibly sterilizing women. While participants are engaged in articulate and impassioned discussions on a range of concerns; equality, gender-based violence, economic empowerment and female genital mutilation being prominent. The plight of their sisters suffering forced sterilizations has again been given the cold shoulder. Not a politically correct issue for those who describe themselves as defenders of women’s rights! 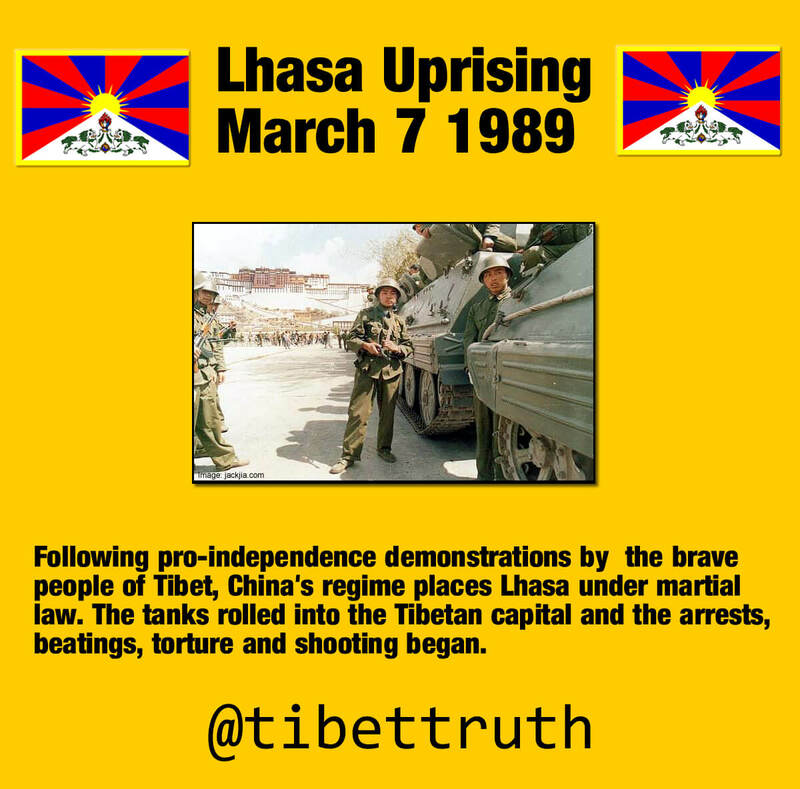 We remember the courageous Tibetans in Lhasa during March 1989 who rose up against China’s illegal and brutal occupation of Tibet. There are many just causes of freedom to support, actions demanding solidarity with those who face oppression and human rights violations. Each and all require opposition and exposure we respect Anonymous for being engaged in such activism. Sure we’re biased, yet it’s fair to emphasize an important consideration that should be of considerable importance to all those who value a peaceful and non-violent response to injustice, oppression and abuse. Of all the world’s conflicts and struggles for freedom there’s only one, which at its very core holds firm to the principles of non-violence. That is waged by the Tibetan people under the brutal tyranny of the Chinese regime. Despite the terrorism forced upon them by the illegal Chinese occupation of their country Tibetans in their hearts hold fast to the values of their Buddhist and native culture. People who suffer under the violent suppression of a government or foreign occupier have the right to determine the nature and course of their resistance. Many understandably support such causes, indeed there seems to exist a strange calculus operating in which the bloodier the opposition, the greater level of global concern. 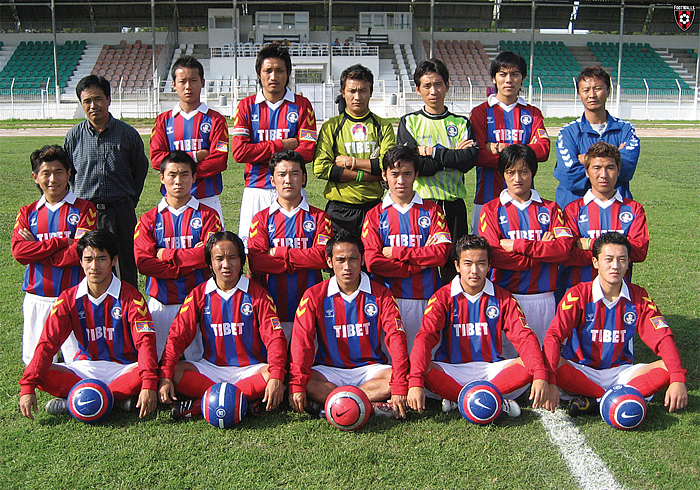 What solidarity though for the courageous Tibetans who face the occupying Chinese regime with a non-violent response? To fellow activists within and beyond Anonymous who express a personal commitment to the principles of peace and non-violence we invite you to show an equal degree of active solidarity to Tibet as offered to equally just causes such as Palestine. 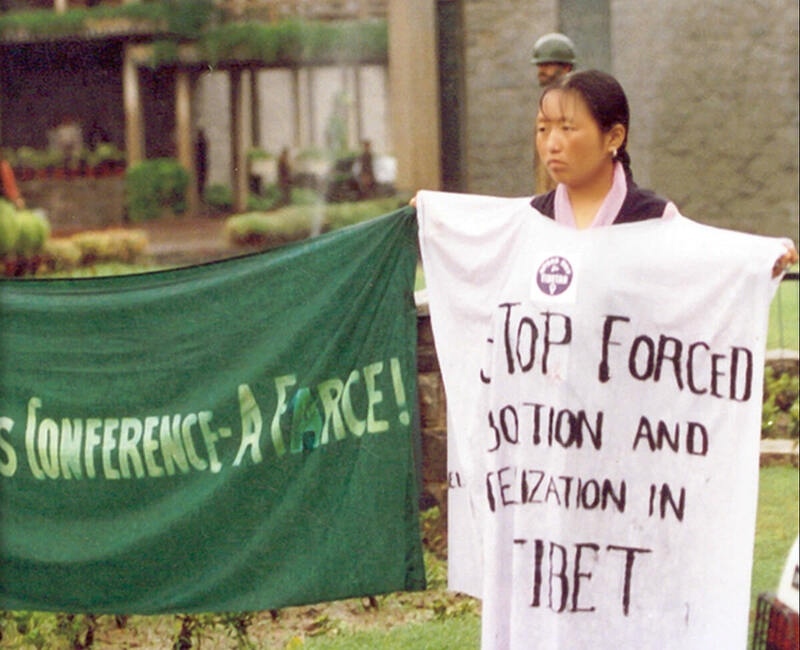 Throughout the years of our activism and research on Tibet and its cause we’ve seen an increasing willingness from international academics to collaborate with China’s regime. Although aware of the censorship, human rights abuses and violent oppression of against not only Chinese citizens, but the occupied lands of Tibet, East Turkistan, Southern Mongolia and Manchuria, career and bank-balance considerations have taken precedence. Thankfully there are those, when viewing China’s tyranny and toxic international leverage, choose not the path of self-serving silence but act with integrity and courage. One such individual is Prof. Anne-Marie Brady of the University of Canterbury, New Zealand, who has exposed and reported upon the growing influence of China’s communist party within countries around the world. We salute you Ms Brady, stay strong! Following yesterday’s news of a fire at Lhasa’s Jokhang temple, questions are turning to the cause. Of course it wont be long now before a servile and uncritical mainstream media dutifully report the official version from China’s regime. This will claim that faulty wiring or insufficient attention to safety measures caused the blaze, alternatively Tibetans may be blamed for their traditional practice of lighting butter lamps as offerings. Anything is possible with a regime that is dependent upon deception and propaganda! Across our digital planet however people rightly look to other reasons for the fire and wonder, given the violent and oppressive nature of China’s occupation of Tibet, if responsibility rests with the Chinese regime. There are grounds for such speculation, not least that China views Tibetan Buddhism as representing Tibetan cultural and national identity. As such it is targeted with a number of highly repressive controls, with monasteries now run by approved members of the local Chinese communist party, totalitarianism has placed a suffocating stranglehold over Tibet’s Buddhist culture. Military check-points, barbed wire and machine guns are a common site at monasteries. Given this reality, you won’t be surprised to know that there will be no tears shed by China’s government at the sight of the Jokhang consumed by fire. There have been other Buddhist sites burned down across Tibet, which were attributed to ageing Tibetan architecture, electrical faults or unguarded fires in kitchens. Such claims. coming from the mouth of a regime which is actively repressing the practice Buddhism in Tibet are problematic and remain unable to convince. Which explains why in the wake of yesterday’s inferno social media was buzzing with images and questions on the Jokhang fire. 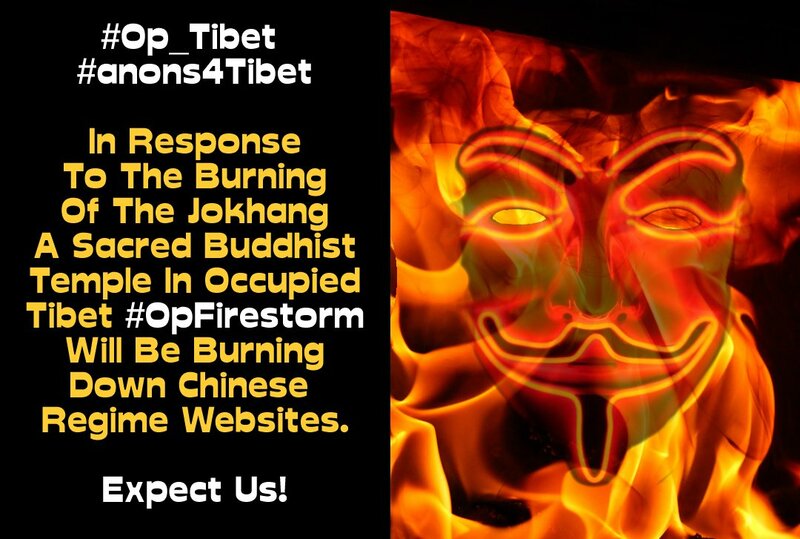 Meanwhile today Anonymous activists have been posting across Twitter of their intent to target Chinese government websites, an action which they presumably is justified, not only on the possibility that China’s regime may have been responsible for the blaze, but also as a response to the ongoing tyranny against Tibetans and their culture. Sincere thanks to @tibettuth and @TibetAnonymous for the headsup on this action and @anonriddler for allowing use of the image above.